How to have fun stuck at home with no money. I started out writing a very long and dull story of my financial status as of lately. I’ll make it short and get to the important part…enjoying your life when you have no spending cashola. Bali and I don’t argue about money. I only allow secured credit cards to fix his credit, mine is fabulous, I do the household budget, I wrote Queen of Penny Pinching and The Funky and Frugal Housewife and Queen Housewife and Mama on a Budget. I know how to make a penny cry for mercy! But I have decided to let my pennies go out and really live life. I have been questioned a few times by my husband and I just don’t like that. I got smart and sassy and told him to take over and then I cut up my debit card (while keeping my credit card and running that up). We agreed he would because I really am sick and tired, tired and sick of being frugal damn it! I’ve been frugal for years and years…and YEARS!! I want to support the economy! Bali fails at taking over the budget and I fail at my administration work. We bicker and that is new. I’ve been such a thrifty goddess that we have never had to quibble regarding money. Now it’s on. I make up a new household budget and find that, even with his raise and making such good money now, we are spending more than we are making. Well, not really, we have two secured credit cards we use for groceries and such. I feel like lately, we are living paycheck to paycheck. I am no longer the Queen of pennies. I have had to put my tiara in the cupboard for now until I can remember my position and pride. So, I do this budget and Bali and I have a dual. The next day, once I’ve calmed down (because I’m not real pleased with myself, but I wouldn’t back down…I’m proud you know) I go back to the drawing board and I do what I advise everyone to do when living paycheck to paycheck; start cutting and trimming. I brewed up my coffee, because this was some serious stuff, and I got to work. By the time I was done we were back in the black and saving a few hundred. Within 7 months, we will be able to save $800 plus a month. We have two things to pay off and that is my beloved Tread Climber that we financed (we always pay cash, this was a new thing for us) and I owe on my credit card that was once secured and now normal and kept being increased until I called the bank and told them to stop doing that because we were entering a dangerous territory with me. I know my weakness. Now what? Well, I have to go back to the envelope system with groceries and do my once a week shopping technique and not all the trips in between. They add up. I have to re-learn to be happy with what I have, not shopping out there or online, not buying something the minute I get a fancy for it, staying home, finding free ways to entertain the family. Back to frugal. Frugal is fun for awhile when you have goals. But after years of such living, it gets old. You want some freedom. I had a few moods around this. But then I started to work toward solutions because I like being happy. I bought myself a cheap $5 Danish butter cake and set about finding ways to relearn what frugal is all about and how I can have a great life with my sons on a daily basis without the travel, the eating out, the shopping at thrift stores…the amazon orders. Grumble, grumble, sigh. I’m not a big spender, but even thrifty spending can add up. Then I found it! Reading! Education! Movies! Dag nabbit, we are onto something here! Or rather we are back! We love to read and the library is within walking distance. I have mastered the online ordering system and I can get books all over this county and beyond. I am amazed at what I can get. I just order a huge stack of popular books that are on the top reading list for this season. I have so many great books coming! I get stacks for the boys also and the 4 year old loves reading about farming, construction sites, and such. Then there is the education. Arjan, the eldest, is into his ABCMouse, even Sam likes it and they can spend a good amount of time on it. I let them, hell, they are learning math, reading, geography. PBS is fabulous for all sorts of positive, fun, education. They have their own playground in our yard with a huge climber complete with slides, towers, and tunnels. They have a huge sandbox and even a garden. Last night I brought down all the boxes of toys I had packed away for a few months. It was like Christmas. I do that, I pack away almost all their toys and store them for months, then bring them out when they are getting bored of what they have. It’s time for tons of toys because we won’t be getting any new until Christmas and there will be lots of home entertainment as we won’t be going out much. We are lucky in that we can walk to several great parks and the library. My education schedule is packed with books and documentaries, YouTube seminars on Abraham. It’s all free. Then there are the things I watch on TV. If you are selective about TV, there are some very good, educational, and fun things on there. It’s a great time for me to really focus on my studies and self-improvement. My studies are in improving my writing and, mostly, improving my mind and temperament. Blogging is cheap. Writing, editing, and publishing books are free through Amazon. I noticed today they are adding paperback to their list for those just starting out. You can publish ebook and paperback right there. Then there is my work on learning everything I can about the mind, healing it, making myself as happy as humanly possible and beyond, manifesting and so much more. Walking, playing in parks, feeding the ducks at the pond, exercising…it’s all free! Learning new recipes and baking is minimal if you are smart about shopping. Cleaning out closets and recreating my wardrobe with what I have is free. Organizing all my cupboards is free. I would say rearranging my rooms, which is great fun, but I’ve already done it…several times. Decluttering is a great past time. I don’t have much left to give away now though. Oh, what else… popcorn and movies are great. We love that. Coffee and a chat on the phone with a friend. I even have those fun grown-up coloring books. They are of Japanese art and mandalas. I’ve got tons of those books and great pens. I love doing a piece while listening to Esther Hicks on Law of Attraction seminars on YouTube. We also have good friends close by we can stay with for free. It takes a quarter of a tank of gas and some snacks packed and we love these friends. They live in a great part of Marin near the forest and we can go to the fabulous kiddy park most of the day. I meet so many fun people and the boys love it there. These friends are the kind that we inspire and motivate each other. I have a trip planned next week and we will drink coffee, talk about manifesting, watch inspiring shows, make dream boards and raise our vibrations! Yeehaw! What a great life right?! So, it’s not going to hurt one bit. I just had to remind myself of all the fun I can have not spending money. When I was really good at this I wrote this book. It is all the best stuff I extracted from the hundreds of books, blogs, and articles I read for years to learn how to survive hard times. Previous When blogging is a distraction from writing. Next November 8th. A big night in history. Great post! I’m always looking for ideas of how to have fun and relax without spending money. 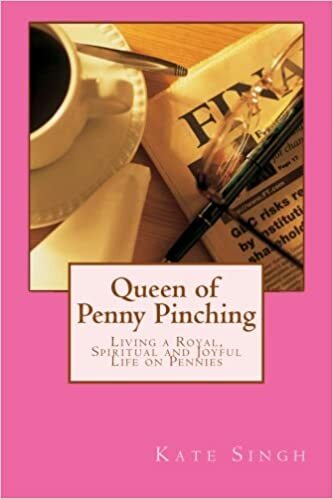 I did enjoy your point about living frugally becoming a bit tiresome after a while though–it struck a chord with me, as I am at the beginning of my penny-pinching journey! I have a lot of great blogs on saving money and finding ways to enjoy it. Had to do it years and years…still doing it but for different reasons so it’s a bit more tolerable. Make a game of it and look up my blogs on budgeting.